Despite the fact that all experts recommend that we eat fruits and vegetables daily, they do not specify which of these are richer in nutrients, vitamins and other minerals. There are significant differences between the different types of fruit and vegetables as far as their energy contents are concerned and other beneficial nutrients for a healthy body and mind. Very often consumers choose fruits and vegetables that are low in energy or not rich in ingredients that fight diseases better. It is important to know some basic characteristics of the various categories of fruits and vegetables because undoubtedly not only the serving consumed per day is important but also the quality. Eating the right type of fruit and vegetables can boost your immune system and keep your energy at high levels. This data is derived from surveys carried by US nutritionists who emphasize the need to enlighten the general public not only for the quantity but also for the quality of fruit and vegetables to eat every day. 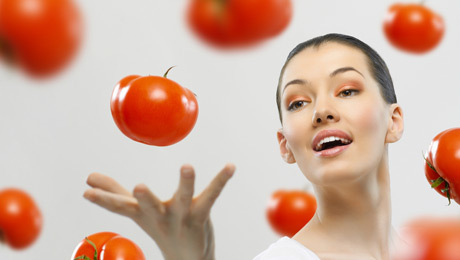 Eating 5 servings each day of fruits and vegetables is the minimum recommended dosage. Recent epidemiological studies show that increasing these quantities will also increase the health benefits received. For men: Eating 9 servings of fruits and vegetables every day can have a beneficial impact on their health. For women: The recommend daily dosage is at least 7 servings. For children and teenagers: at least 5 servings per day. What do we mean by a serving of fruit or vegetables? The quantity of fruit or vegetables contained within a small glass or a small glass of juice or a medium size fruit (apple, orange, and banana) or even a small bowl of salad. It is important to know the characteristics of each category of fruit or vegetables. Knowing what foods are richer in vitamins and minerals can help you make better choices and motivate you to start following a healthier diet. Finally we should point out that vitamins and other supplements present in pharmaceutical preparations cannot substitute nor have the same beneficial effects like the phytochemicals found in fresh fruits and vegetables. Fruits and vegetables contain vitamins, fiber, minerals and thousands of other active phytochemicals that when offered together in the body, act in synergy and promote health reducing the risk of various diseases. What do the colors of vegetables mean?